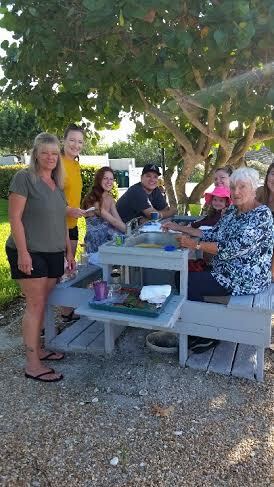 For many shellers, the joy of shell collecting is a journey of discovery up and down our beach for a unique shape, color or hard-to-find shell. 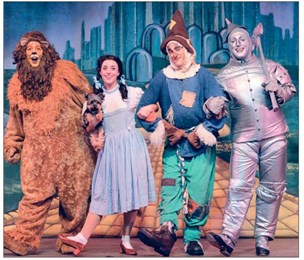 Follow the yellow brick road as America’s most beloved movie, The Wiizard of Oz, comes to life on stage at the Broadway Palm Dinner Theatre with Dorothy, the Scarecrow, the Tin Man, the Cowardly Lion, and Toto too! 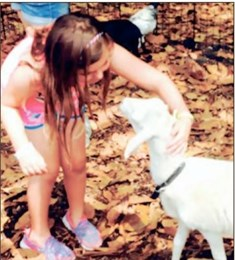 Edison & Ford Winter Estates is offering children the opportunity to enjoy a petting zoo environment — early 1900s style — beginning on Sunday, July 31 from 1 to 4 p.m.
Our Ocean’s Reach ladies sure are jammin’! 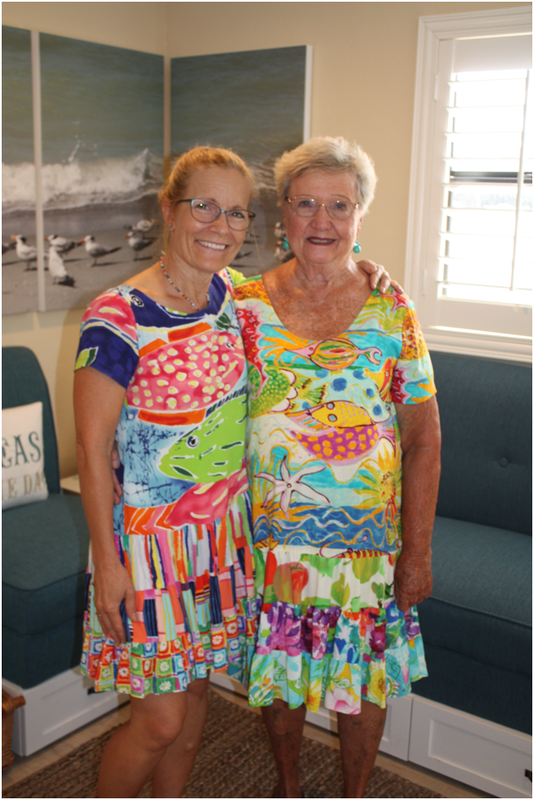 Lisa and Joyce M. (who started our treasured Brunswick clan tradition) are pictured here as twins in their colorful beach dresses from Jams World. 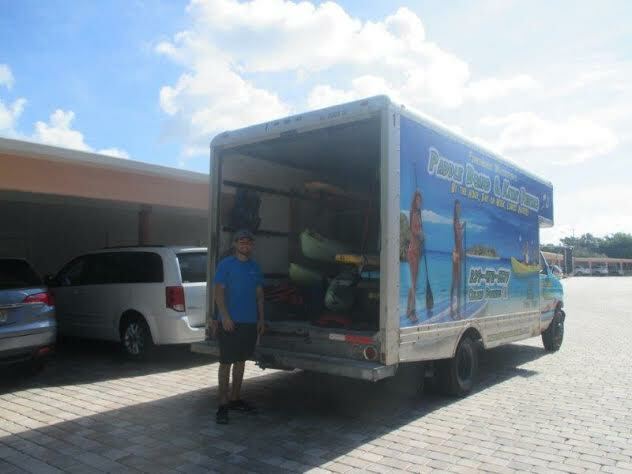 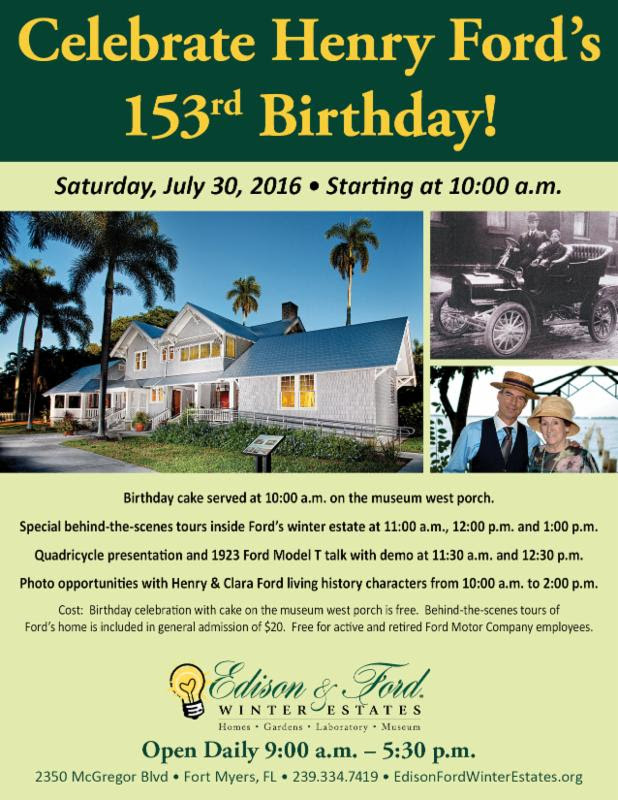 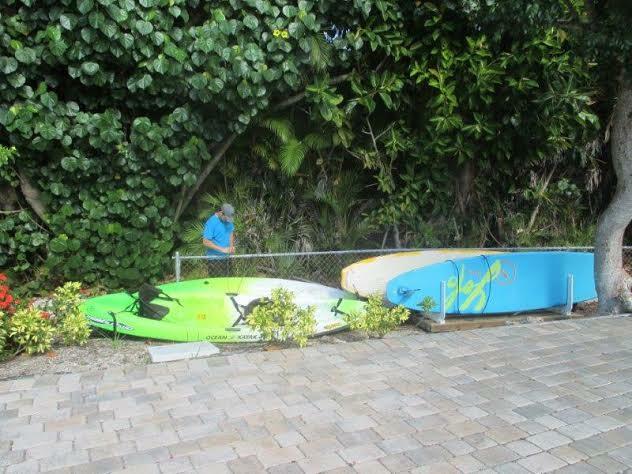 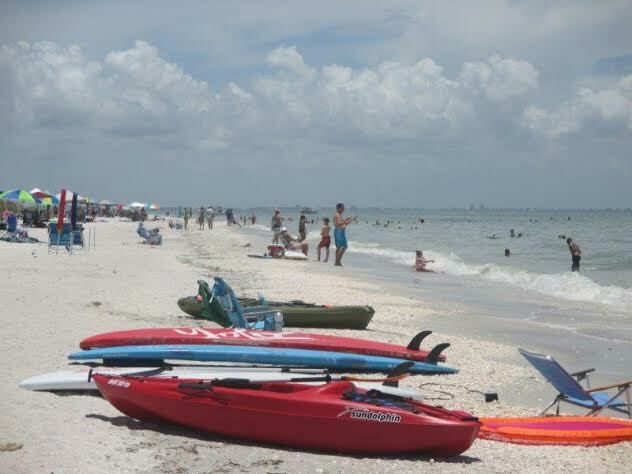 Looking for adventure while sleuthing the secrets of Sanibel? 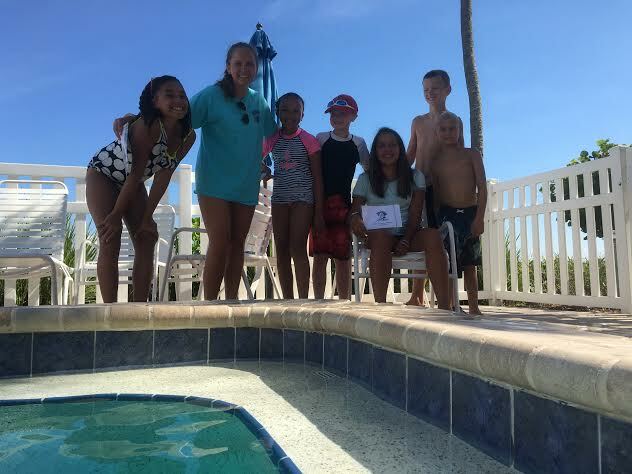 We’ve been tracking the scavenger hunt activities of the Fredericks family for eight years. 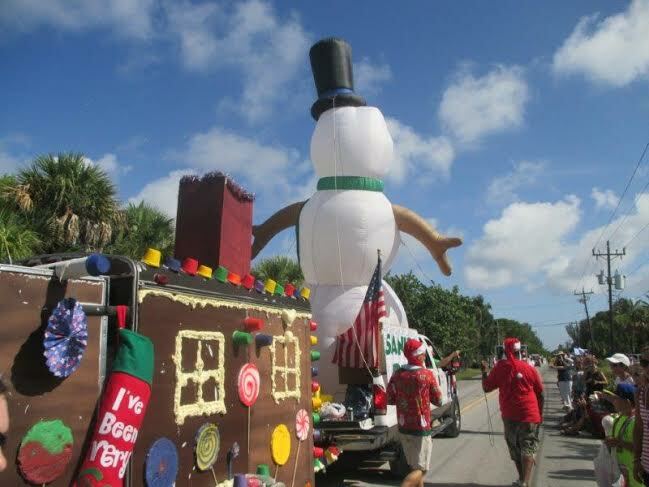 It’s a highly anticipated Ocean’s Reach tradition for these teens and pre-teens! 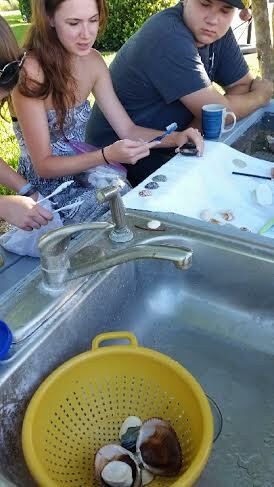 Look at the smiles on their faces as they embark on solving their first clue. 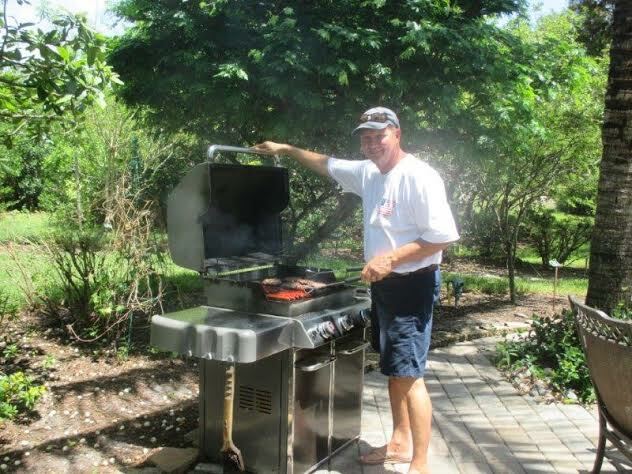 The guests from Brunswick, Georgia roar for more good food from the four gas grills at Ocean’s Reach. 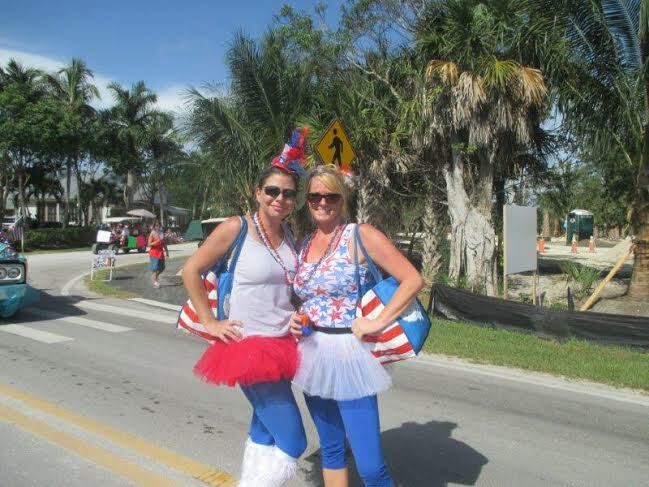 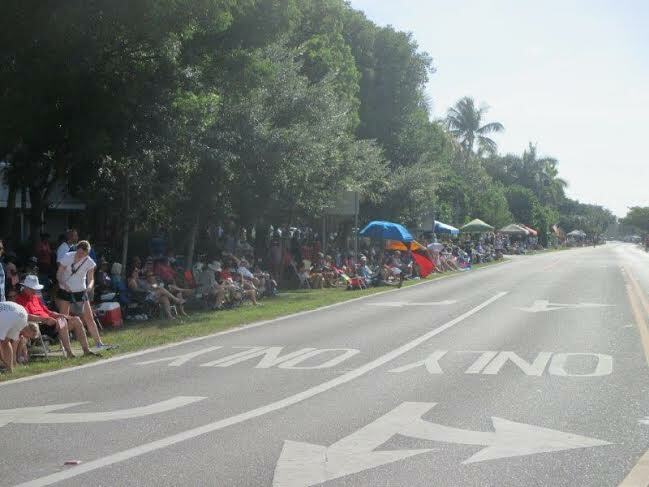 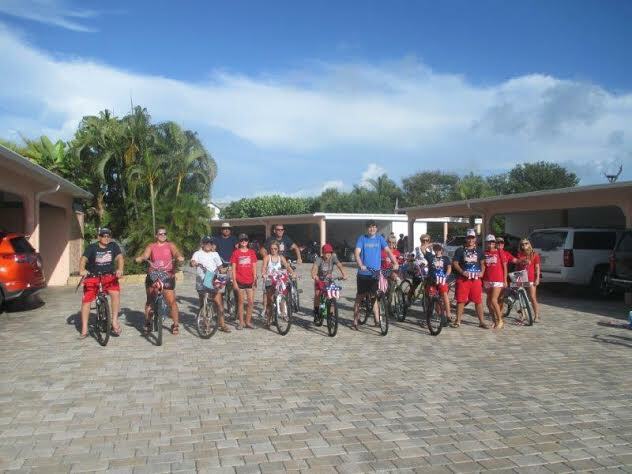 All 13 diners satiated their 4th of July appetites with a backyard barbeque in our Grove and at the talented hands of their appointed master griller Windy M.
And our all-time favorite is the annual 4th of July bicycle parade from Ocean’s Reach to the Sanibel Independence Day Parade. 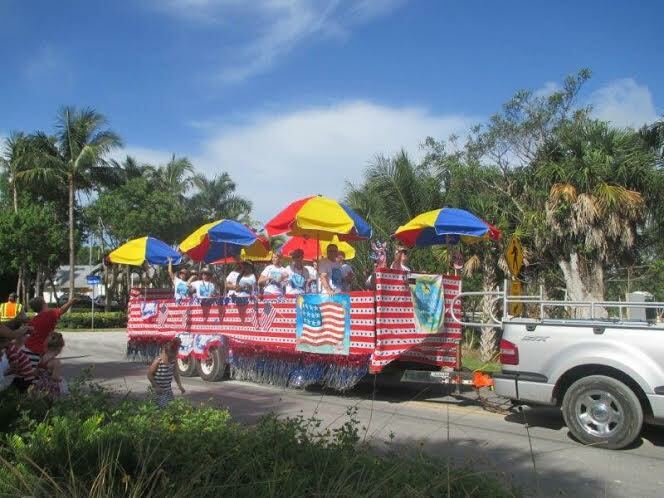 The bicycles travel hundreds of miles on the backs of trucks and SUVs from Brunswick, Georgia to Sanibel—many pre-decorated in patriotic red, white and blue.